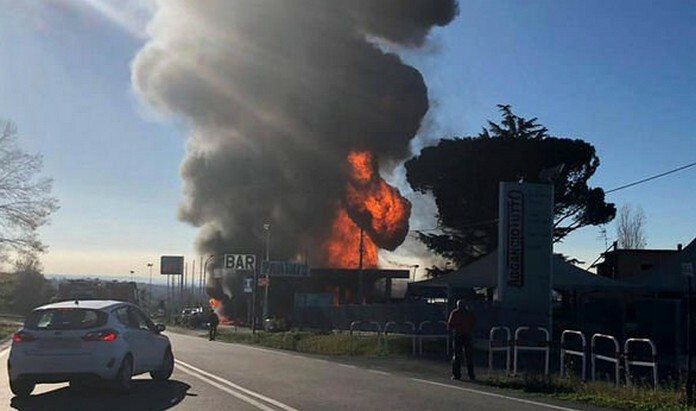 Two people were killed and at least ten others injured in an explosion at a highway petrol station in central Italy on Wednesday afternoon. 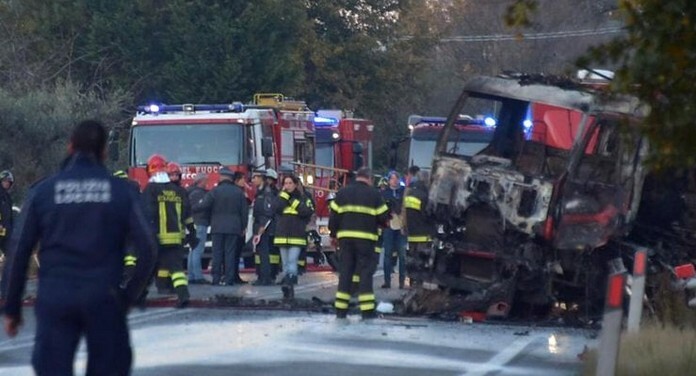 Part of the SS4 state highway was closed as authorities declared a “red zone” around the scene of the accident, which took place in the province of Rieti. 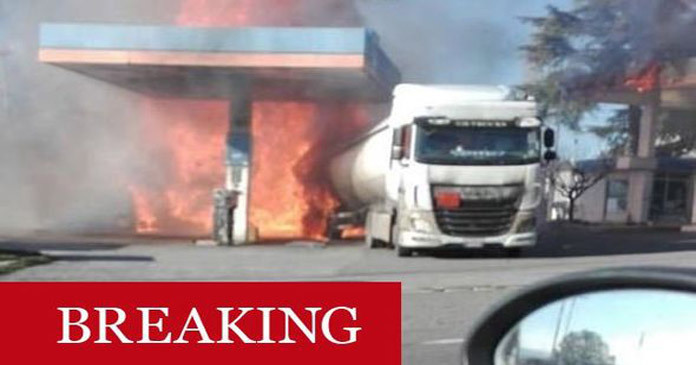 A firefighter and one other person died after a fuel tanker exploded, Fire crews were responding to a fire that broke out at the petrol station following an earlier, smaller explosion when the flames caught a tanker that had arrived. Witnesses described the blast as “like an earthquake”. The 2nd victim was found away from the petrol station, in a car on a road parallel to the highway. The Italian Fire Service confirmed the death of one of its firefighters, commenting “endless pain”. According to La Repubblica, the fireman killed was off duty at the time but had stopped to offer help.